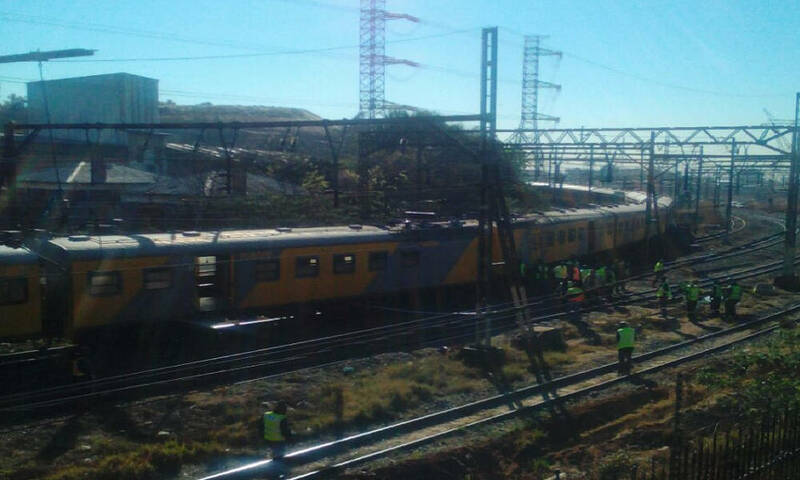 Two passenger trains have collided in the South African city of Johannesburg, injuring at least 100 people, according to local officials. It follows a deadly train crash earlier this year. The accident happened on early Tuesday morning when two passenger trains collided near a sharp curve in Selby, which is a community near downtown Johannesburg. The cause was not immediately known. Emergency services set up a triage area and treated about 100 people whose injuries ranged from minor to moderate. “Fortunately, no serious injuries or fatalities were found,” Meiring said, adding that patients were taken to area hospitals. Photos from the scene appeared to show no major damage. In January, a train collided with a truck near Kroonstad in the Free State, killing 19 people and injuring more than 250 others. Just days later, two passenger trains collided near Johannesburg, injuring 226 people. South Africa’s ageing rail network is prone to serious accidents, in part because the vast majority of trains date back to the 1950s. One of the most serious accident in recent years happened in May 2011 when two trains collided in Johannesburg, injuring 857 people, three of them seriously.